Nowadays we received several emails regarding the power of our machines. Some customers questioned us that why some of our competitors are selling almost size machine, for example C3 lathe, and the competitors declare that their machine power is 550 wattage. 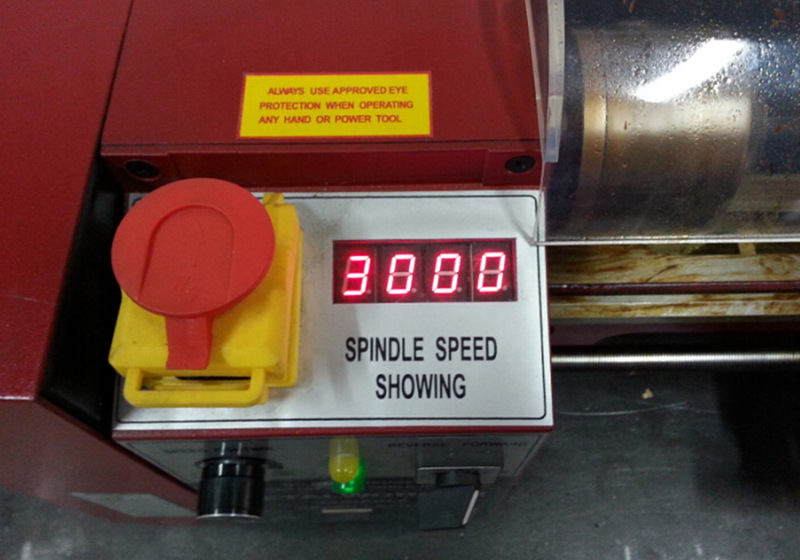 But our machine is only declared 350W. It seems that their machine is much more powerful than our’s. Thus our customers are so worry about that this will lead to their failure of their sales. Even some clients ask us if a 550 wattage motor can be installed. But are our competitors’ machines really 550W ? What their 550W really mean to? As to this question, firstly I make a simple definition to the power. As to the power of a machine, we can divide into Input power and Output power. 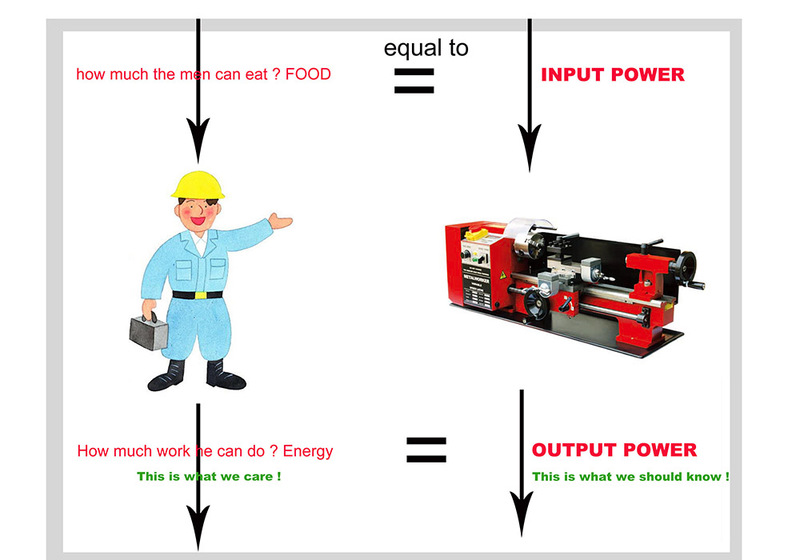 Obviously output power is always weaker than input power for the machine will consume much energy when working. 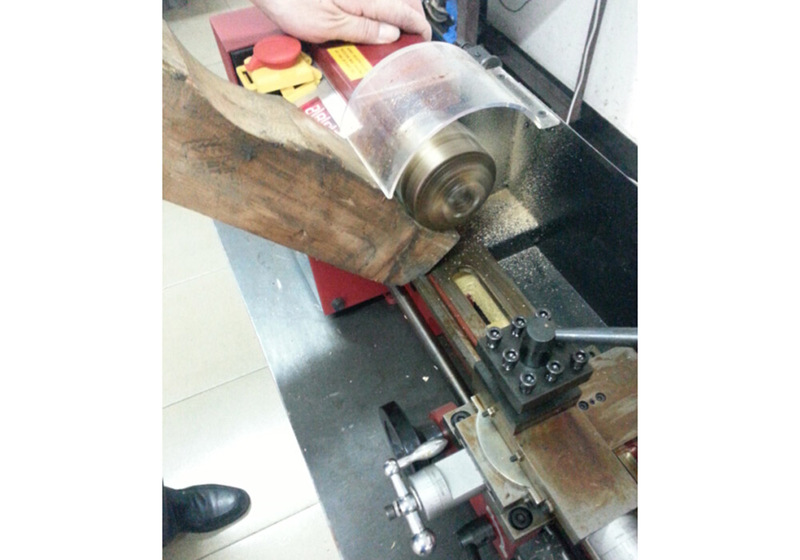 To make an analogy, if we consider the lathe as a man, then the input power refers to how much the man can eat, while the output power refers to how much work he can do, or we can say how much energy he can put onto his work. As to a man, I think we all concern is how much work he can do rather than how much he can eat, right ? So as to a machine, what we really care is how much power it can output, don’t you think so ? Thus, all we write on our catalog are OUTPUT POWER, not input power. But most other suppliers write the input power on their catalog or advertisement. That explains we see their machines power seems stronger than Sieg machines. 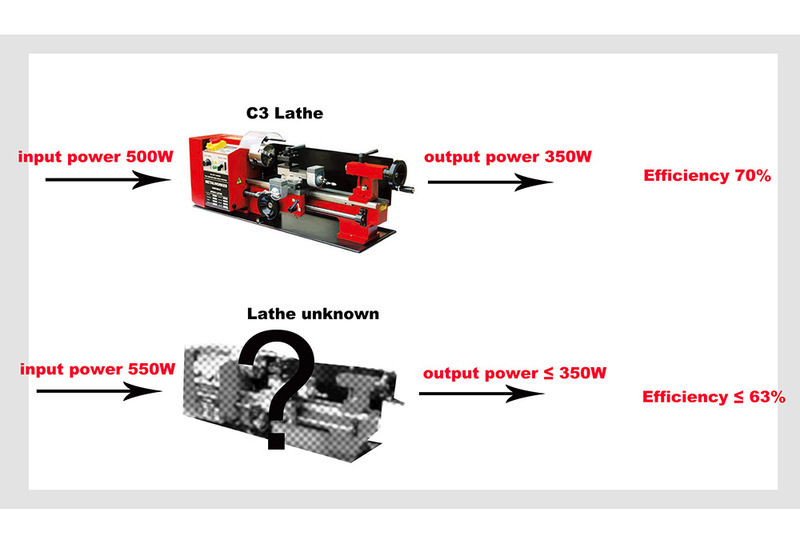 As matter of fact, the input power of our C3 is about 500W, but we will not write on our catalog, for we should tell the users what the real workability the machines are. Input power is actually no use for users. Maybe some people do care about how much the man can eat, for we wish he can eat less, but do as much work as he can. So as to a machine, still take the C3 for an example, the input power of C3 is 500w, and the output power is 350w, then we can calculate the efficiency of this machine is around 70%. Take another machine, similar size to C3, the input power is 550w, but the output power is less than 350w, then the efficiency of this machine is less than 63%. From this data, I think no one can’t recognize which machine is better, right? Even I make this detailed analysis, some guys still stand out and say: no! What we write are the actual output power, not input power. We have done the test to prove it. Here we could see their test method from their advertisement. Let’s take a look. 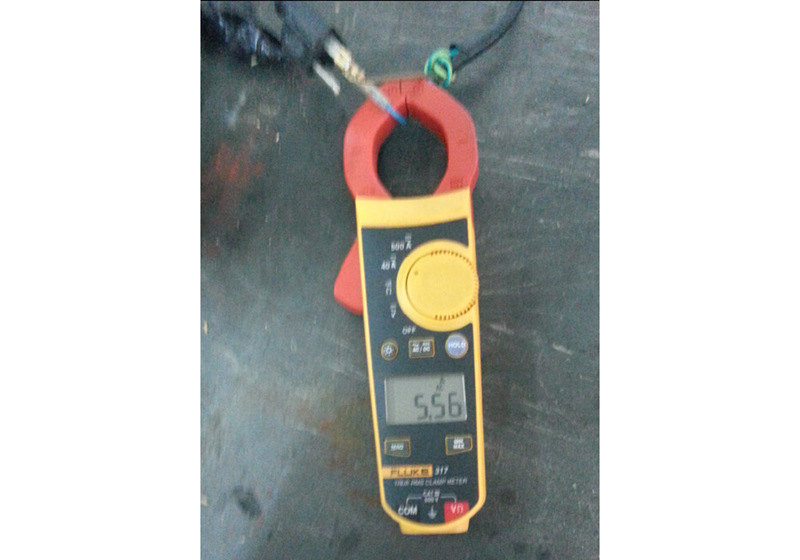 measure its power, using a clamp meter. this machine's output is 550W. 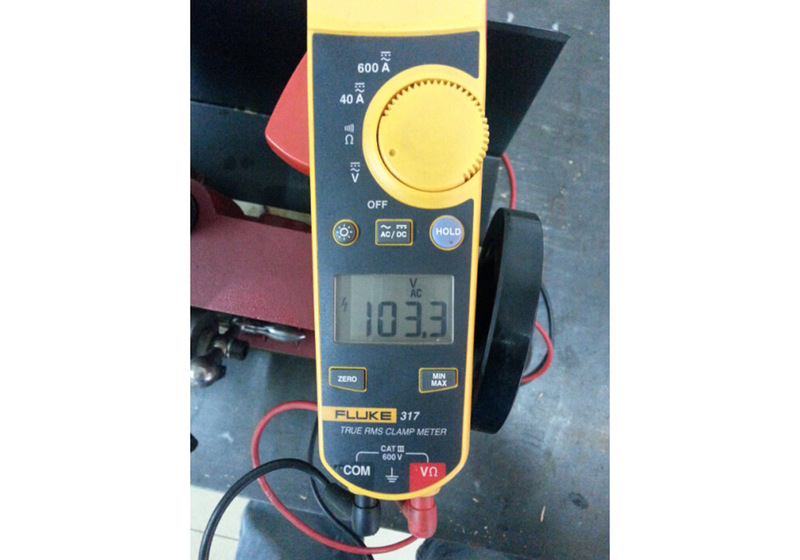 Although we know it is not the method to test the output power, our engineer still wasted some time to do the same test to prove it. We did the same steps as above. 3. Apply the load to the spindle, the machine stopped by the protection circuit system. 5. The data of overload test: 103.3Vx5.56A= 574.3W. Is this the output power ? Completely wrong. You could see that we put the clamp meter to the power cable from the wall to the machine. So this is the method of testing the input power, not output power. The output power our engineer calculated is around 413.5W. Forget the above test, we done it and writing this article is not against anyone, just want to show the reality. What we want to do is to let our customers to have a clear understanding of the input power and output power. Here we also declare that we will not change out power to input power from our catalog, for we need our customers to know the real workability of our machines are. To show our honesty, we should tell you the truth. If you have any suggestion to this topic, please send the email to us.